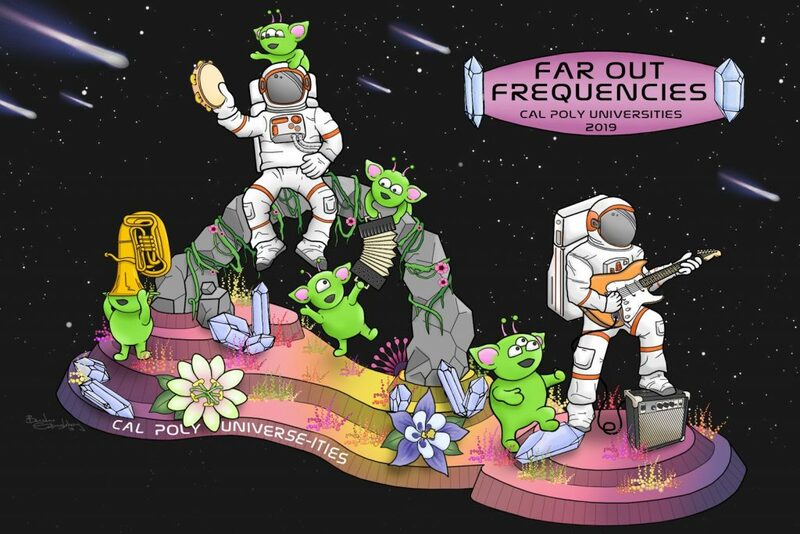 Cal Poly Universities’ 2019 Tournament of Roses Parade float is innovative on many fronts. Not only will it be Certified CA Grown for the eighth year in a row, some of the flowers to be featured on the float are student-grown, some are grown specifically for the float by California flower farmers, and the entire effort is supported by the California Cut Flower Commission (CCFC). The Cal Poly float is a consistent award-winner, having earned the Past President’s Trophy for its 2018 entry that featured 97 percent California Grown flowers. For the 2019 float, Cal Poly San Luis Obispo students are growing marigolds and Cal Poly Pomona students are growing strawflower and statice from seeds provided by Ball Horticultural. The mums for the float are being grown by Topstar Floral, and some of the kale to be featured is being grown by Ocean Breeze Farms. These efforts, along with thousands of stems donated to the effort by California flowers farms, ensure that the float earns Certified California Grown status, meaning that at least 85 percent of the flowers and greens on the float are from the Golden State. Cal Poly Pomona student Summer Blanco, a deco chair for the float, recently shared that students were harvesting the statice and marigold crops so that they can be dried for float use. “Our students learned so much about growing crops on campus like irrigation, pests and pest control, weed and weed control, flower processing and much more,” Blanco shared. The students have also begun drying CA Grown delphinium in an effort to add even more California materials to their float. The goal: getting as close as possible to a 100 percent California Grown Rose Parade entry! Flower farmers who would like to help students meet this incredible goal can reach out CCFC’s Anna Kalins at akalins@ccfc.org to donate flowers. Also needed – Rose Parade ambassadors to volunteer throughout the week and on parade day.